The new display is the first, and most obvious, new feature of the latest watches. This nearly edge-to-edge display is more than 30-percent larger than previous Apple Watches. Even though the display is larger, the size of the Apple Watch overall has only grown ever-so-slightly outwards, while getting a tad thinner. On previous iterations of Apple Watch, the back case was metal, with a glass cover for the heart rate monitor, Ceramic is now swapped for the glass on the higher-end stainless and Edition models. The swap allows for the new ECG sensor, which Apple will take live in a software update later in the year. Apple made a big deal about the Digital Crown this year. It actually has more parts, but is overall able to be smaller and more compact. Cellular models no longer have a large red dot, instead adopting a more subtle red ring. There is also improved haptic feedback, which is very much akin to the glass trackpads on the MacBook Pros. As you rotate the crown, you will feel a tapping, very much making it feel as if there are mechanical notches that are being tripped. There is also a new metal cap on the crown that acts as an electrode for taking that ECG we mentioned earlier. Speaking of the ECG functionality... this is entirely new on the Apple Watch Series 4. After the software patch rolls out, users can simply hit start, hold a finger on the side of the Digital Crown, and it will take your reading. This is endorsed by the American Heart Association as well as approved by the FDA. It won't replace a doctor's visit, but it does add a lot to the Apple Watch. 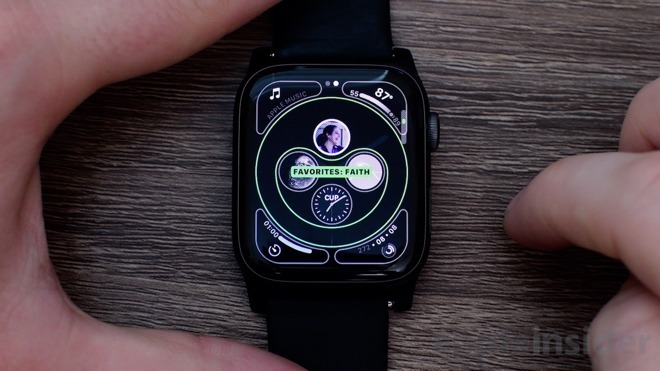 Series 4 contains two exclusive watch faces, as well as several slightly modified ones introduced with watchOS 5. The exclusive ones include Infograph and Infograph Modular. Infograph is the most complication-dense face Apple has created, with support for roughly nine complications — depending on what you count as a complication. Infograph Modular is a slightly updated version of the popular Modular watch face we've seen many times. Also new are edge-to-edge version of Vapor, Liquid Metal, and Fire & Water. Older models restrict these to a circle within the display, so they look much more at home on the Series 4. Just like with the iPhone XS and iPhone XS Max, Apple Watch Series 4 got the gold color treatment. Available in either stainless or aluminum, these new color isn't a gaudy yellow, but more of a subtle tint instead. It also has a slightly copper hue, which should increase the broad appeal. In 2017, the iPhone X got Bluetooth 5, but the Apple Watch Series 3 stuck with 4.2. Series 4 brings Bluetooth to parity with the iPhone. Bluetooth 5 has increased throughput and range which should be helpful with any Bluetooth connected accessories or when paired to the latest iPhones. Apple has upgraded the gyroscope accelerometer to now detect twice the dynamic range and up to 32 g-forces. Paired with the faster processor, it can sample eight times faster, which allows it to add new features, such as fall detection. 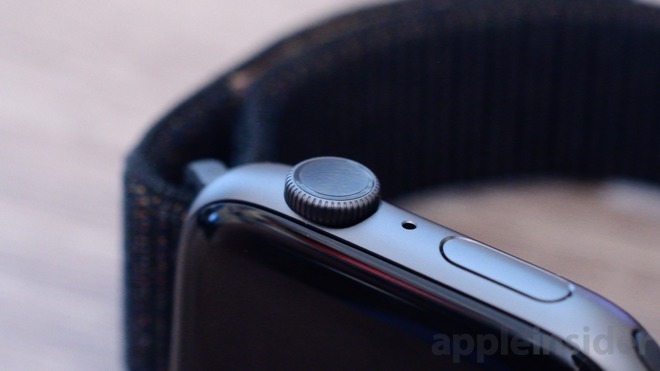 Whether you slip, trip, or fall, the Apple Watch's new gyroscope accelerometer will detect it, and alert you on your wrist. It will give you the option to say you're ok, or to call emergency services. If the Apple Watch doesn't detect any movement within 60 seconds, emergency services will automatically get that call. 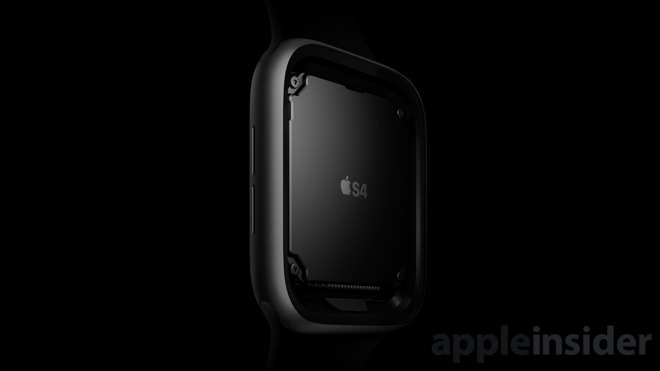 S4 is the brains behind the Apple Watch, and is now twice as fast as its predecessor in the Series 3. We especially noticed this speed when launching apps, or querying Siri. The "Silicon in Package" in the S4 incorporates some other previously discrete chipsets, and takes up much less space than in the past. According to Apple, it is the only product in the world that runs completely on a SiP. Walkie-Talkie is a new feature in watchOS 5. That, coupled with the ability to answer FaceTime calls, chat with Siri, make phone calls — all over Wi-Fi or cellular — speakers are more important than ever for Apple Watch. Apple has now tuned the speakers to improve the audio quality, as well as boost the volume by 50-percent. This is instantly noticeable as soon as you try them out. 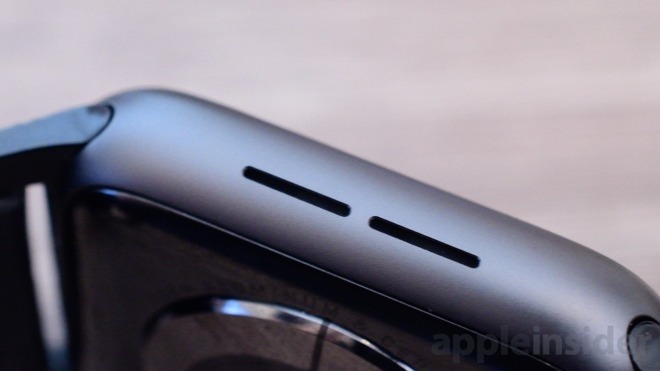 As a bonus, Apple moved the microphone to the opposite side to help reduce echos during phone calls. 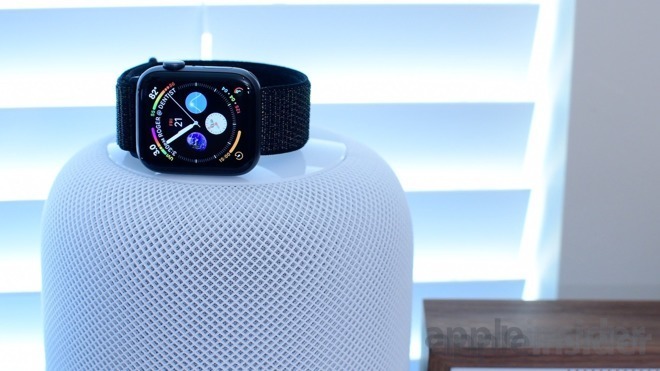 If you'd like to pick up an Apple Watch Series 4 for yourself, check out the AppleInsider Price Guide for the best deals.